John gets the evening hopping on the Clav and we are in full-on dance mode — my feet won’t stop moving while I sit here! This is quite a developed piece of Improvisation, or an unknown one-off tune … either way, it’s incredible. At the end the band moves into what I can only describe as robot-like bleeps and bloops with percussive accompaniment, and this gives way into more open and darker space that grows over the next 4min (start of track 3) to create a brooding slow pulse led melodically by Chris on stand-up bass and Billy’s tom work while Medeski’s keys balance between filling out that slow pulse and colouring it with zaps. I’m swaying side to side in my seat now with John coming in with a new melody around 7min (track 3) on one of his organs, coloured by an electric piano (Wurlitzer? ), while that slow pulse gets deeper and deeper. This is mesmerizing … my state of mind might be helping that, but nonetheless, deep haunting groove — ooh! Billy kicks the beat up just before 9min and this slow pulse has intensified into a skittering groove with Billy’s fills almost busting it apart, but then he locks the shuffle beat back down and we’re off! Resolving down to Chris picking up his electric bass on track 6 and giving us a *nasty* biting solo that Billy jumps into on one of his hand drums (the Talking Drum, I think?). Around 4min Billy kicks in a bass drum a bit, Chris starts to lay down more of a line and John jumps in with some space keys — it’s light and floating. The illyB begins what I consider what of his specialties: he starts driving the groove with a GODDAMN TAMBOURINE! He’s incredible on this thing! Once Billy moves to the kit the band is driving a full on groove to take us *almost* to set break and it is nice! Like, SUPER nice! Damn, these guys are good, eh? 2nd set … RADIOLARIANS! 2009 was the year after the Radioalarians creations and the band was steeped in the music of these three albums BIG TIME, along with some new music from the recently released children’s album and Zorn Book of Angels disc, with the odd older tunes popping up here and there, but mostly it’s the Radiolarians songs that carried shows from 2008-2010. 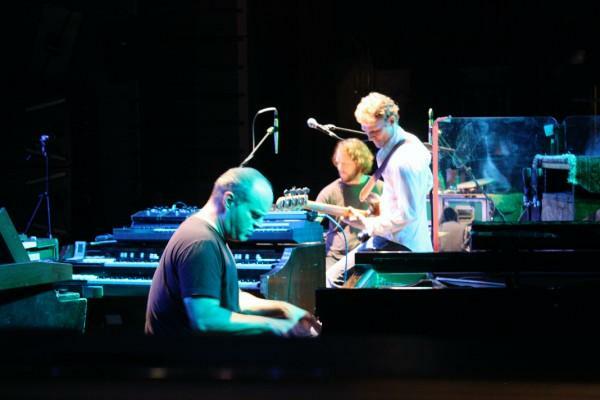 We’re on the Scene with Jean, and this is tune is all about Medeski tickling those ivories – sweet sounds! I mean, I love Chris and Billy holding it down here, but Jean’s Scene is all about John and he gets the set hopping! 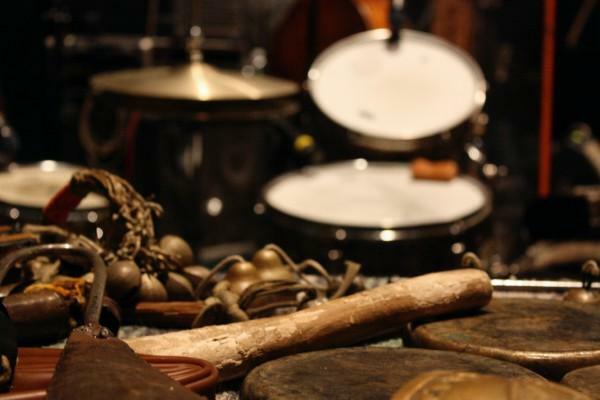 This is a tune from Radioalarians 3, the fall batch of tunes from the ’08 series of Radiolarians tours. 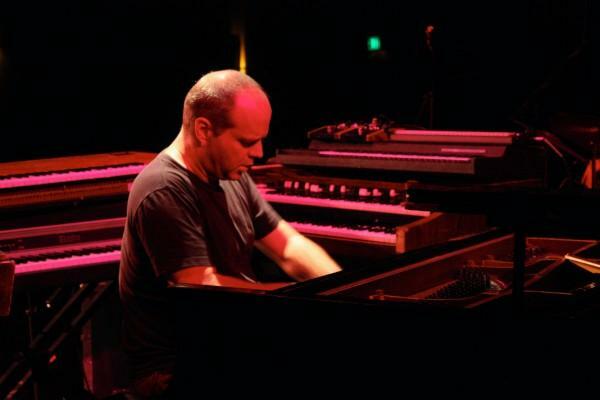 Anyway, the Scene carries on with some tension and release tinkering out of the piano … man, I love John on the piano — any other player is ruined for me now due to the talents in Medeski’s fingers … well, body, the guy plays full-body on his keys. I still dig lots of other piano and keys players, but nobody makes ’em sound like John. Stellar upright bass work from Chris over the tune as well, with Billy keeping it tight. Next up, Amish Pintxos — aka “Stabs“! That was the temp title given to the tune during the Radiolarians tour in ’08 before we knew the name (I think that temp name came from, Randy B?). 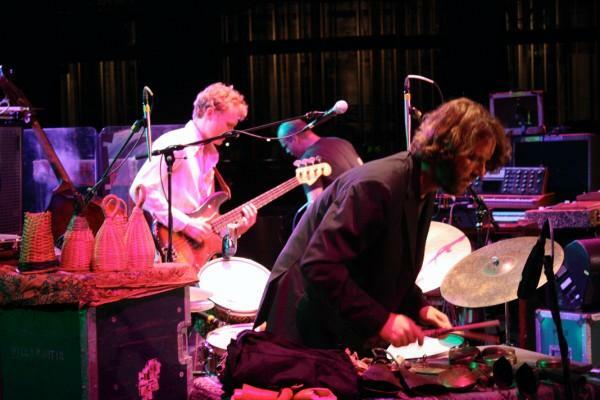 I always thought “Stabs” was appropriate when you hear Medeski’s key jabs that get the tune rolling and carry on under his melody on the melodica — this is a nasty tune and I love it! There are 3 distinct section to the tune and each interplay so well together. Some fun picking from Chris on electic during this tune, and Billy is rocking the shakers as the tune winds down … listent to that raunchy sound John gets outta the melodica! A brief pause before we Walk Back, which is like an echo of some old school ’70s funk in the MMW flavour — tune would have fit nicely in the Shackman era, really. 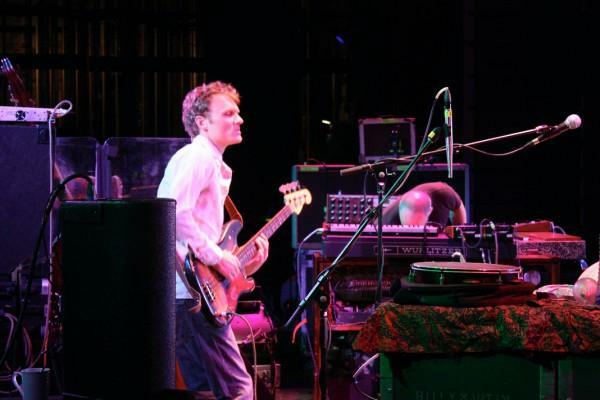 Wonton gets our hearts pumping again and asses shaking — another tune that would jive with the Shackman era groove … love Billy’s tom work in this tune. And the set ends with Undone, a common spot for this tune to pop up and it’s more than welcome — I F#CKIN’ LOVE THIS TUNE! I feel this tune and Amber Gris, the encore, really took lessons from the PJ Harvey cover tunes the guys were playing in the few years leading up to Radiolarians. Both Undone and Amber Gris are like epic pop tunes … like GOOD epic pop tunes. I REALLY dig both of them, so to end the set with Undone is music to my ears (literally and figuratively! ), and then an Amber Gris encore is just icing on this groovy cake — take a BIG bite, you won’t be disappointed! 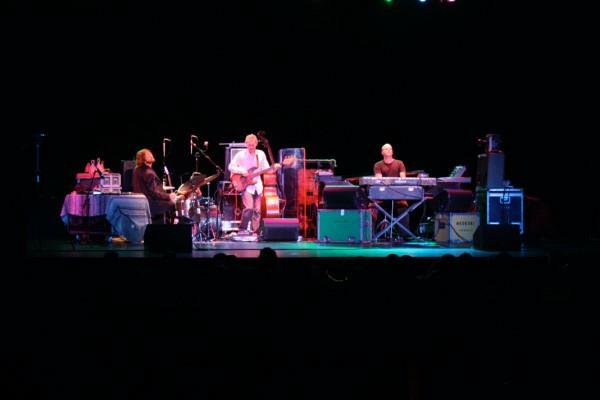 Posted on February 5, 2016, in Jazz, Live Music, Music and tagged 2009, Billy Martin, bittorrent downloads, bt.etree.org, Chris Wood, Improvisation, Jazz, John Medeski, Live Music, Medeski Martin & Wood, MMW, The Shack Project. Bookmark the permalink. Comments Off on FAITU#3.